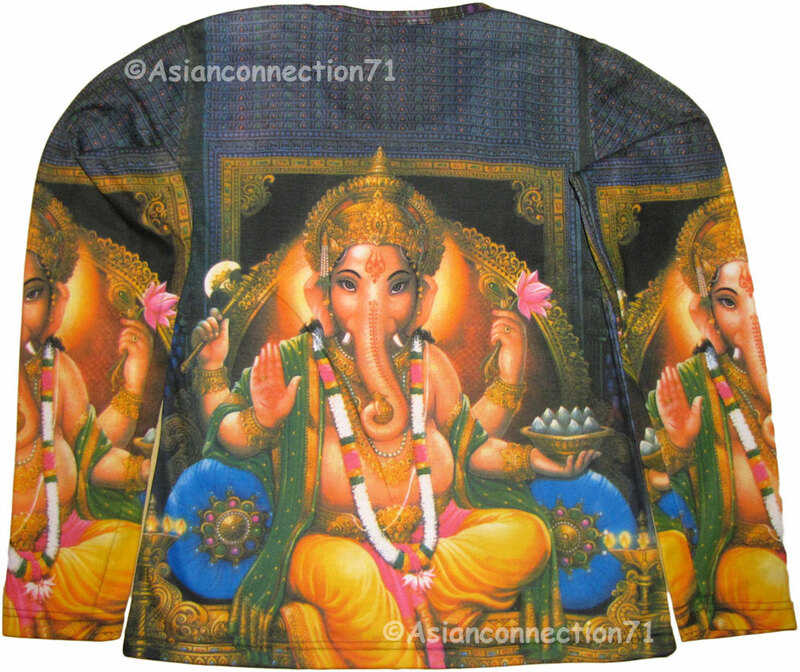 This beautiful new hand printed long sleeve art shirt features GANESH- the Hindu Lord of Success! Ganesha (in Sanskrit: गणेश), also spelled Ganesa or Ganesh and known as Ganapati, Vinayaka, Pillaiyar. 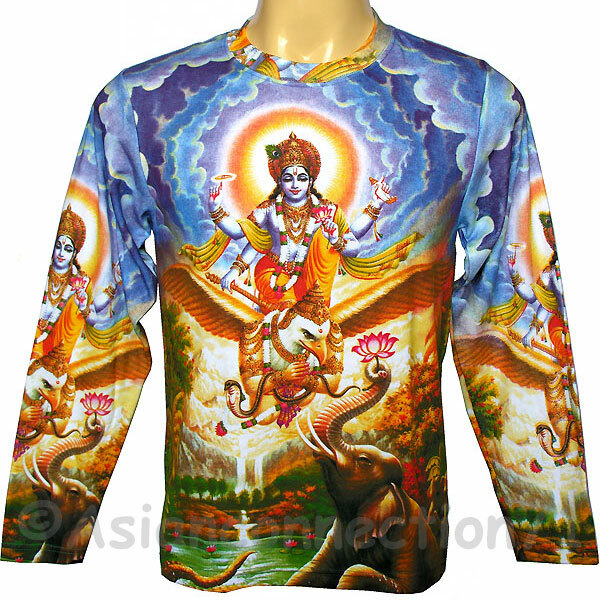 Ganesha is one of the best-known and most worshiped deities in the Hindu pantheon. 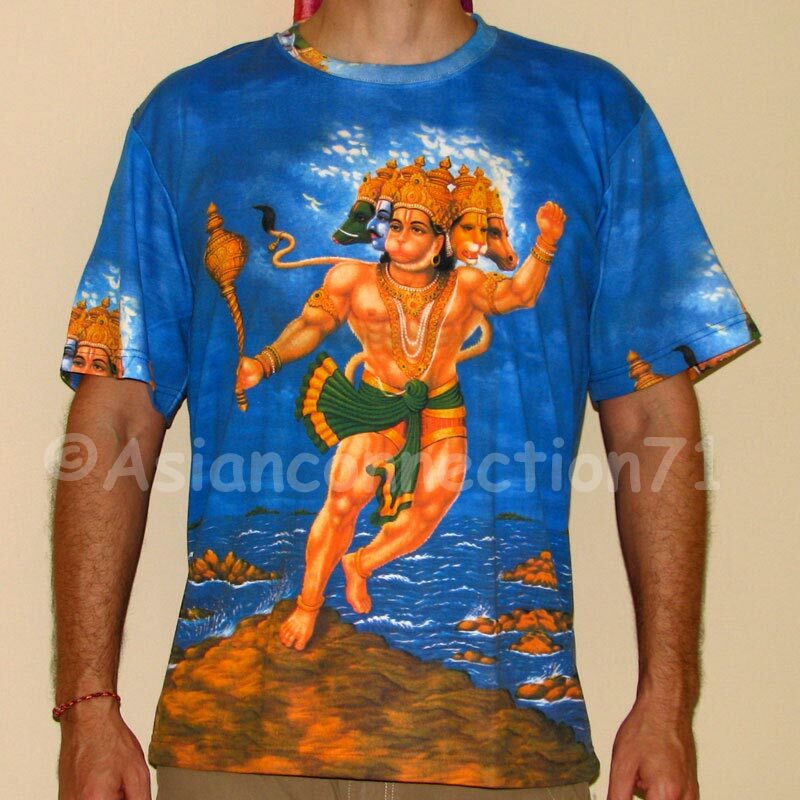 His image is found throughout India and beyond. Hindu sects worship him regardless of other affiliations. Devotion to Ganesha is widely diffused and extends to Jains, Buddhists and beyond India. 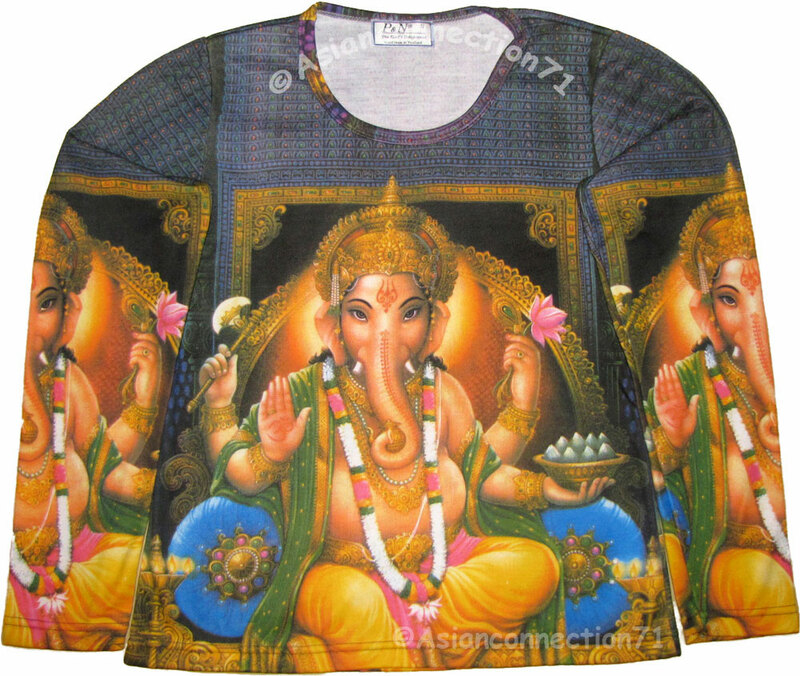 Ganesha is one of the five prime Hindu deities (Brahma, Vishnu, Shiva and Durga being the other four). Although he is known by many other attributes, Ganesha's elephant head makes him easy to identify. 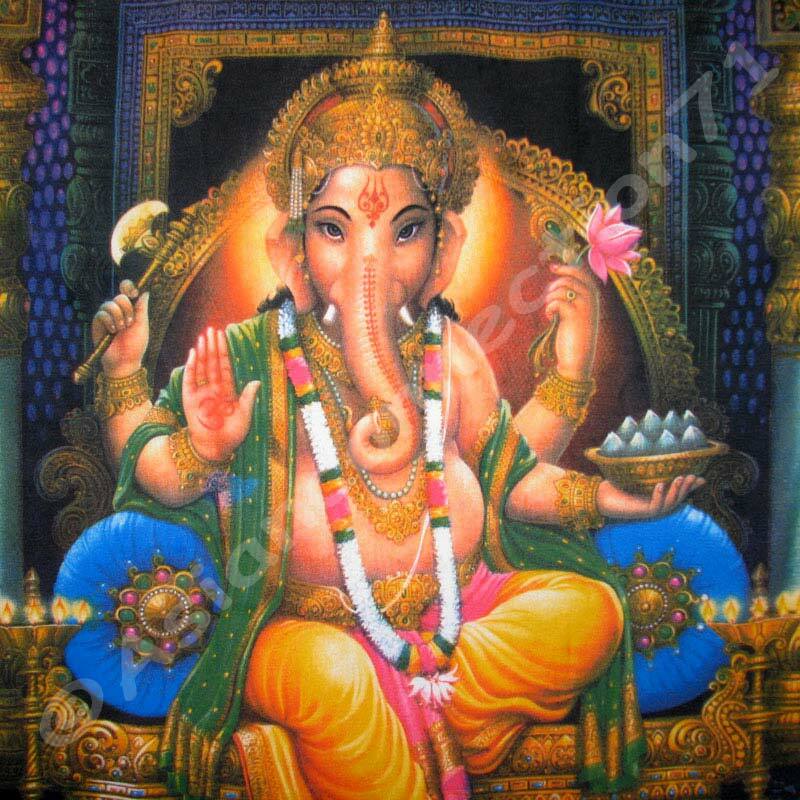 Ganesha is widely revered as the Remover of Obstacles and more generally as Lord of Beginnings and Lord of Obstacles (Vighnesha, Vighneshvara), patron of arts and sciences, and the deva of intellect and wisdom. He is honoured at the start of rituals and ceremonies and invoked as Patron of Letters during writing sessions. Our art shirts are hand printed in small quantities using non-toxic "watercolor technique" dyes on a wax press. 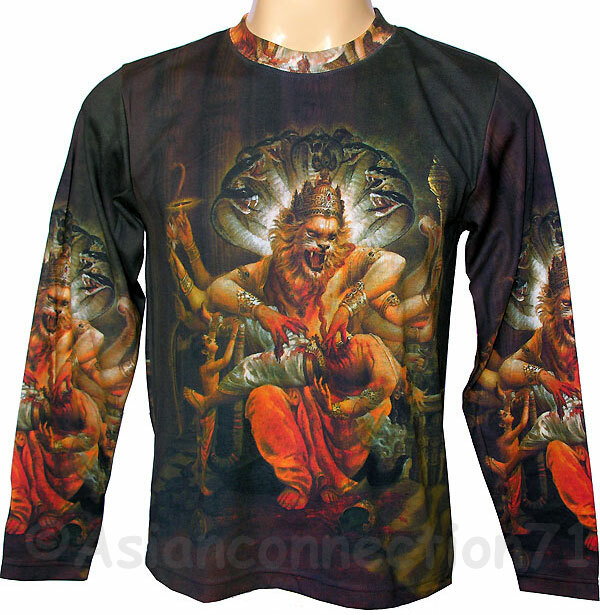 High quality rich and durable screen prints on a top quality cotton-polyester blend shirt. Shipped brand new in poly bag. 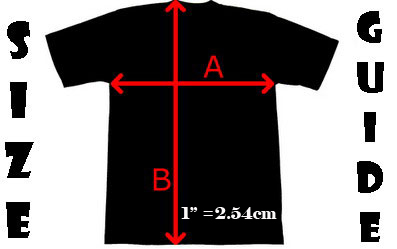 This shirt will not shrink. Hand wash or machine wash gentle recommended to preserve the colors.